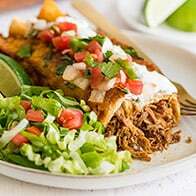 I’ve been on a bit of a project meal kick the last couple of weeks what with all the Carne Asada recipes and Short Ribs. I figured it was about time to share something that doesn’t require overnight marinating or 4 hours of long, slow cooking. How about we make some Naan Pizzas? 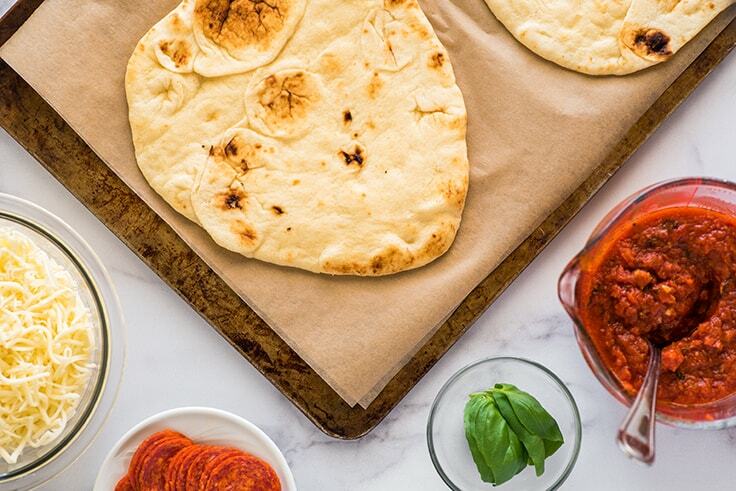 Naan Pizzas have become one of my favorite go-to no-fuss meals, and I make them at least once a month because they’re just so reliable, easy, and best of all, GOOD. 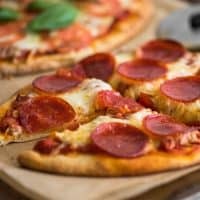 Why Use Naan for Pizzas? 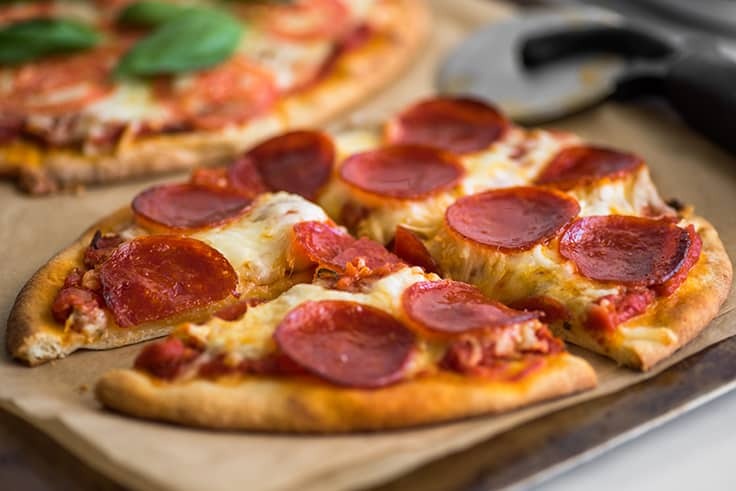 Naan makes a great pizza crust alternative because it’s nicely portioned to make individual pizzas and when baked, has the texture of a good, medium-crust pizza. 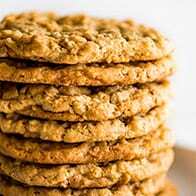 It’s not too crunchy, not too doughy, but perfectly bendy with slightly crispy edges. It’s the Goldilocks of pizza crusts. I’m including the recipe for my very favorite homemade pizza sauce below. 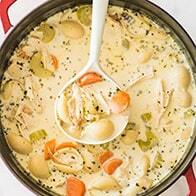 It’s made with just four ingredients and is SO tangy and bright and wonderful. I love it. And it’s very easy to make. But it will add an extra 25-ish minutes to your dinner prep, so if you’re having naan pizza tonight because you need something quick, you can absolutely use your favorite store-bought sauce. This recipe will make four naan pizzas. If that’s a couple pizzas too many for you, I highly recommend freezing the leftovers (or double the recipe and make extras for freezing) because naan pizzas freeze extremely well. 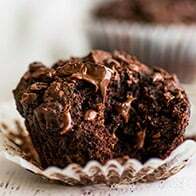 Once reheated in the oven, you can’t tell that they were ever frozen, and it’s always nice knowing you have a couple of these ready to go in your freezer for busy weeknights or evenings when you just don’t feel like cooking. 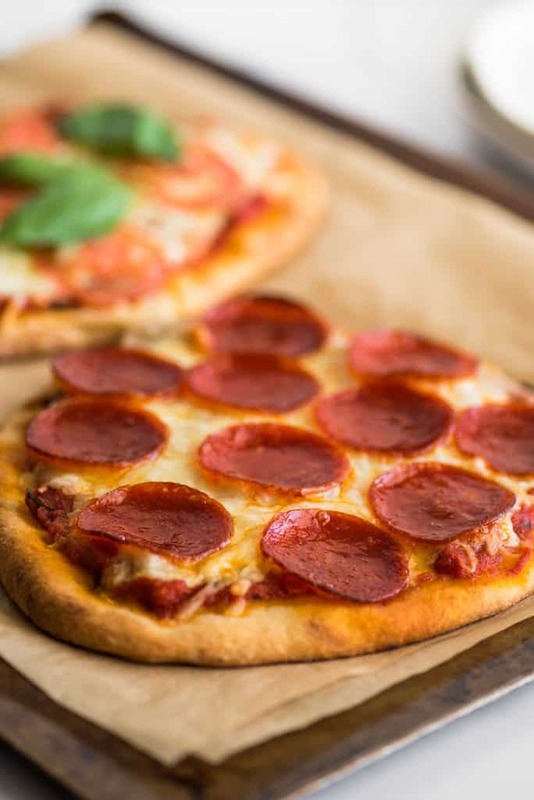 To freeze, first freeze assembled, uncooked pizzas on a tray or plate until frozen solid, about 30-45 minutes. If your freezer is a little chaotic and these pizzas are going to get shifted around in there, wrap them individually in cling wrap to help keep the toppings in place. 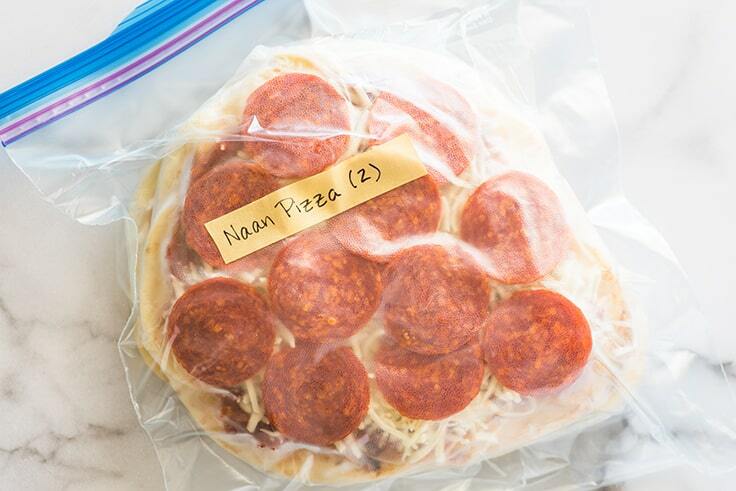 Then transfer frozen pizzas to a freezer bag. Pizzas will stay fresh in the freezer for up to about 2 months. When you’re ready to eat them, place frozen pizzas on a baking sheet and bake in a preheated oven at 400°F for 13-18 minutes. Pizzas are done when cheese is melted and the center is completely warmed through. If you’re using leftover naan from a restaurant and it’s thinner than the store-bought naan in these photos, it will still work, but you may need to shorten the cooking time slightly. Naan Pizza is the perfect no-fuss meal for busy weeknights because it's just so reliable, easy, and best of all, GOOD. If using diced or whole tomatoes, use an immersion blender or food processor to process your tomatoes until they are the consistency of salsa. In a large pot, over medium heat, heat oil. Add garlic and cook until lightly golden, 30 seconds to a minute. Carefully add tomatoes—oil will sizzle and pop as you do. Stir in sugar and basil. Bring mixture to a simmer. Turn heat down as needed to keep at a good simmer and cover with a splatter screen if you have one. Simmer for 20 to 30 minutes, stirring occasionally, until sauce has thickened and reduced to about 1 1/2 cups. If you don’t own a splatter screen and the sauce is popping too aggressively, turn it down and extend the simmer time as necessary. Place naan loaves on baking sheets. Cover each with about 1/3 heaping cup of sauce. Top with 1/2 cup of cheese each and desired toppings. Bake for 12 to 14 minutes, until cheese is melted and naan is golden. If baking all 4 pizzas at once, swap top and bottom trays once halfway through and keep an eye on the bottom tray to make sure the crust is not burning. Cool on the baking sheet for 5 minutes before slicing, and enjoy! *The salt content varies wildly between canned tomato brands, so you may need to add very little or quite a lot of salt depending on the brand you use.